Looking for a unique way to personalize your wedding and party favors? Look no further than these picture and photo frame favors from The Knot Shop! Each of our available frames are easily personalized and can be used as decorations at place settings, buffet tables, tabletops and more. 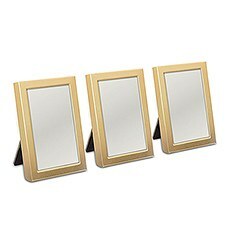 Choose from a beautiful variety of finishes, colors, shapes and themes - you are guaranteed to find the wedding favor picture frames that will perfectly match your venue, your style and your personality.Our wedding favor frames are available in several finishes. Which finish is more your style: silver, gold, rose-gold or white? Take your pick - you can't go wrong with any of the finishes or styles available in our online frame favor shop at The Knot Shop. Encourage your guests to take these wedding favor frames home and reuse them with their own photos.Are you a romantic at heart? 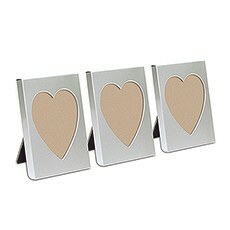 Choose our mini magnet aluminum heart photo frame favors or our small silver heart photo frames with handy easels that can be propped up at place settings. 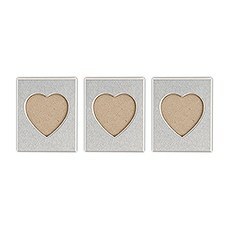 Each heart photo frame is easily personalized with photos, cards, menus and more! Your wedding day is the day for love so let your picture frame wedding favors reflect this love with this romantic heart design. 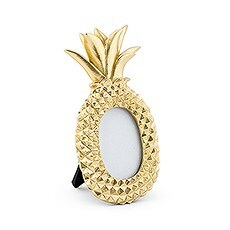 Your guests will love you for it, too!For a beach- or tropical-themed wedding, choose our mini gold pineapple photo frame or our small wooden starfish photo frame favor and place card holder. 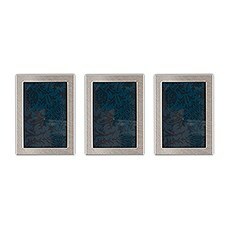 Use your imagination with these high-quality frames - pop in a picture or a place setting card. 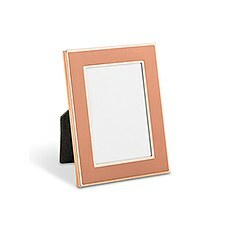 Our wedding frame favors are practical as well as pretty.Rose-gold is all the rage! 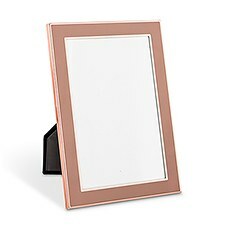 Choose our wedding photo frames in rose gold to display your message, picture or other items. We have the freshest, on-point styles, colors and designs in wedding party favors.The Knot Shop is your one-stop shop for the best wedding favors, decor and items that will make your wedding ceremony, wedding reception or other celebration a smashing success!